Tourism is the largest industry in the world, in Malaysia almost 28 million tourists had visited Malaysia in 2015 (statistic from Tourism Malaysia). New hotels grow like mushrooms; our sister company Sentoria Theme Parks and Resorts Sdn Bhd that own and operate Bukit Gambang Resort City will be opening another three resort cities in Malaysia in Langkawi, Morib and Kuching that are equivalently big as Bukit Gambang Resort City. Jobs demand has never been surplus for this industry, realizing this great opportunity IMPERIA Academy of Tourism (IAT) would like to be part in developing human capital in this industry. Our teaching and learning could not be more fun and exciting with a work-based learning. 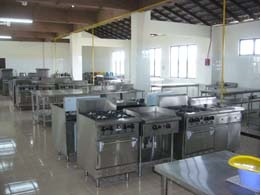 Our students will undergo a hands-on training during first half of mix learning; theory and practical class in our modern and state-of-the-art facilities such as kitchen of 5-star hotel standard. In a second half student will experience a real-life scene of hotel, theme park and resort operations where students learn and attach to the hotel or theme park weekly for them to practice their knowledge and skills attained from the theory class. 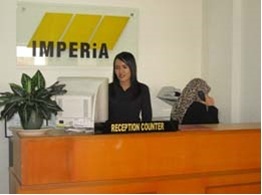 This unique approach is made only possible since IMPERIA Academy of Tourism could be the only Academy in Malaysia residing in a hotel, resort or theme park at one place. IAT also committed in an efforts to re-skilling current staffs of Bukit Gambang Resort City aligning to government’s vision for reaching 30% skilled-work force in Malaysia. Come and join us at IMPERIA Academy of Tourism where we bring the actual industry in the classroom! Executive Diploma in Business Management. We also conduct short programmes, Sijil Latihan Penyediaan Makanan (SLPM) of Kementerian Kesihatan Malaysia, HACCP, soft skills training and other short courses tailored to your needs. Students completed their study at IAT have choice to either be employed at Bukit Gambang Resort City or our partner resort or hotel, or further their study in skills to Diploma Kemahiran Malaysia (Malaysia Skills Diploma) at any JPK accredited centre. IAT will offer a similar Diploma programme in near future. 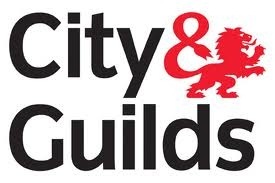 City & Guilds is the biggest name in UK vocational education, with 2 million learners working towards one of the qualifications every year. 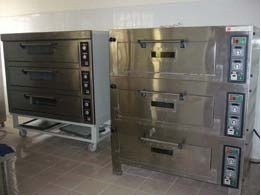 IAT is proud to be part of City & Guilds of becoming the accredited centre in late 2011. We will start offering qualifications in Culinary Arts and Food & Beverage, IAT students who completed their SKM studies is eligible to sit for City & Guilds examinations qualifying them for a dual certifications; SKM and City & Guilds UK. We are also the first centre to offer City & Guilds home grown English programme. 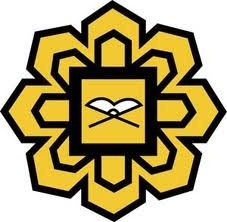 UIA in principle had agreed IAT becoming one UIA external accredited centre at East Coast to conduct some UIA programmes. It’s a mark of trust, quality and healthy brand portrayed by IAT that had gained the trust from the two renowned institutions. IAT students that has completed their study successfully will be offered a permanent employment with Bukit Gambang Resort City or our other partner hotel or resort basing on their study performance, right attitude or characteristics that meets the requirement standard of the industry. 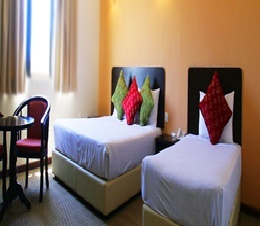 IAT offers a modern state-of-the-art facilities, equipment equivalent standard to 5-star hotel. 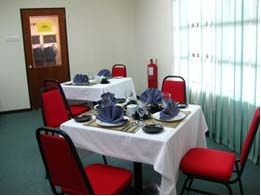 IMPERIA situated in an environment of serenity and most conducive for a hospitality teaching and learning experience. Full fledge hospitality needs from front office, housekeeping, food & beverage services, full range of kitchen either western or oriental, butchery, cold kitchen, bakery and pastry. Pursuing a skills training in Sijil Kemahiran Malaysia at institutions or academy is a natural progression upon successful completion of the Sijil Pelajaran Malaysia (SPM) or alternative to Penilaian Menengah Rendah (PMR). At IMPERIA Academy of Tourism, we not only provide good quality education, we also provide the means by which you can obtain financial aid and assistance from several financial institutions and Foundation which offers study loans at a very competitive rate. To help you realise your dreams, students can gain access to and obtain facility from by completing and providing the relevant forms and information as laid out by each of these institutions. Top on the list is Perbadanan Tabung Pembangunan Kemahiran or otherwise known as PTPK. Please click here for information on www.ptpk.gov.my. Our Student Services Department staff will gladly assist you with the step by step application procedure and by extension provide you with all the information required to answer all your queries. Please contact our Counsellor at +609-549 4096 for further details. Thank you for taking an interest in IMPERIA Academy of Tourism. Your choice of Academy determines the quality of education that will benefit you immediately and for the years to come especially your career life. A prospectus and application form will be mailed to you and our friendly counsellor will be in touch with you. A crossed cheque ,money order or bank draft for the 1st payment made in favour of IMPERIA Academy of Tourism Sdn Bhd.